TTN: Cathy Lippmeier, a single mother of three, has been running a Canberra Institution, The Gorman House Markets, at the heritage Gorman House in Braddon for 8 years. The market has been running for 29 years. Six months ago, the Gorman House Arts Centre board, lead by new chairwoman Suzie Campbell, allowed Arts ACT to commence capital works on the site, inhibiting trading for the Gorman House Markets. The limited trading is now being cited by Arts ACT head David Whitney as a reason to shift government support from the markets to the more popular Bus Depot markets. Lippmeier’s biggest concern is that, not only has her licence agreement been broken, but many stallholders who depend on Gorman House’s Saturday markets to complement exhibiting at the Bus Depot’s Sunday markets will be left with a less viable weekend’s trading when Gorman’s Saturday markets cease. The Gorman House Markets charge stallholders $40 to exhibit. The Old Bus Depot Markets charge $90. Below is the ABC story reporting the market’s closure, and below that is the Facebook post pitched at Andrew Barr MLA by Gorman House Markets licensee Cathy Lippmeier. The Gorman House Markets in Canberra will have its last day of trade this Saturday after the centre’s management chose not to renew the markets’ licence. The art and handmade markets have been operating in Canberra’s inner north for over 25 years. They host an assortment of arts, craft and second-hand stalls as well as live music and performances every Saturday. 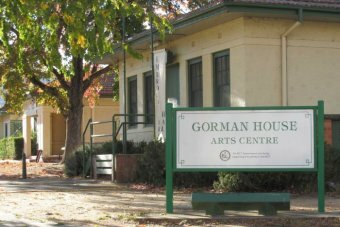 Arts ACT director David Whitney said the department did not advise the Gorman House Arts Centre to end the markets’ licence. But he said the centre had decided that the Gorman House Markets did not fit in with the future vision for ACT arts precincts. “The vision is about creating art activity and it’s about encouraging artists to work with each other and to work on their own to take that step forward,” he told 666 ABC Canberra. Mr Whitney said the community’s interest in markets had shifted. “We’ve just signed a 10-year agreement with the Old Bus Depot markets,” he said. The ACT Government allocated $2.8 million in the 2013-14 budget for upgrades to Gorman House, Ainslie Arts Centre and the Kingston Arts Precinct. Gorman House Markets manager Cathy Lippmeier said the works disrupted the market’s normal operations and she hoped the centre’s board would continue negotiations. “I’m hoping that some political and community pressure will assist. There are some legal arguments that we can put,” she said. Ms Lippmeier said she understood another market would not take over at the Gorman House site. “My understanding is that I hold first refusal over the premises, it has to be offered to me before it’s offered to anyone else,” she said. I have now received two signed responses from Ms. Joy Burch MLA in which I have been informed that it is not appropriate for the ACT Government to interfere in tenancy arrangements between the Board of Gorman House Arts Centre Inc and myself. My name is Cathy Lippmeier and I am the manager of the Gorman House Markets at Gorman House Arts Centre in Braddon ACT. I have a licence agreement with Gorman House Arts Centre Inc for use of premises at Gorman House. Since January 2015 I have not been able to use my premises as agreed between GHAC Inc and myself as the ACT Government’s capital works program commenced with disregard to my business, the Markets. I was told some of the final details of the proposed capital works program at Gorman House in a letter from the Board of GHAC Inc’s lawyer dated 23 December 2014. I was told that the Board of GHAC Inc had resolved not to renew my licence agreement beyond its expiry date when I did not agree to the proposals regarding the works and proposed repurposes of parts of the Markets’ premises and requested to negotiate. This despite the fact that I have Right of First Refusal in respect of a further term. The Board of GHAC Inc has refused to explain why they do not want the Markets to continue its operation. Markets at Gorman House have been operating on Saturdays for 29 years this year and it is unreasonable to expect the Markets community to just accept that we cannot continue to enjoy Gorman House on Saturdays without even being offered a reason why. I understand that as I have Right of First Refusal in respect of premises at Gorman House the Board of GHAC Inc is choosing to make no offer at all and instead leave the community facility empty rather than offer it to me first and let the Markets continue to use it. I have been writing and writing to people since December 2014 trying to seek help and clarity on the matters and negotiate the works. ArtsACT has also offered me no assistance in response to letters I have sent. I have, however, managed to continue the operation of the Markets around the capital works with very little co-operation from the management of Gorman House Arts Centre or artsACT. I recently organised the relocation of the Markets’ food court to an alternate area during Stage B of the capital works which included my arranging a temporary traffic management plan with Roads ACT to make the new situation viable and I spent money and time in preparation of the move. The Markets’ food court and its stallholders have since been successfully operating in the new location at Gorman House and I do not understand why the Markets is not welcomed to continue to do so. 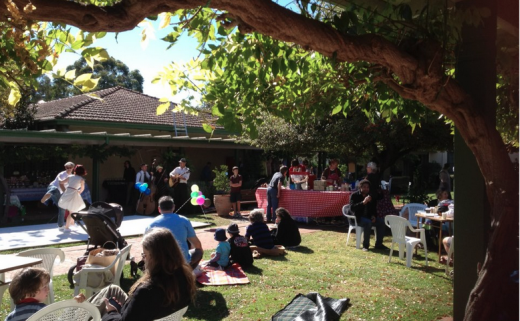 Please find attached – a photo of the Markets’ food court operating in its new location at Gorman House last Saturday 16 May 2015. It has been written, including in the media, that the push to close the Markets is directly linked to the ACT Government’s capital works program at Gorman House. I would like an explanation and for someone with authority to take the time to meet with me to talk the matters through, which is why I am writing to you. Please be aware that the Board of Gorman House Arts Centre Inc does not want the Markets to continue its operation beyond this Saturday and the Markets wishes to continue. Would you please personally make the time soon to meet with me to discuss the Gorman House Markets?